We all use appliances daily so when one breaks down we understand the inconvenience. 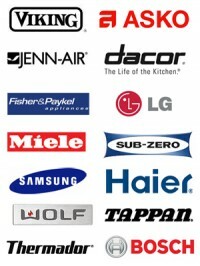 At Atlanta Appliance and AC Repair we understand how important it is to get your appliances to work back in order. 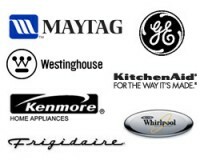 We have excellent appliance repair and air conditioning repair technicians that have experience with all major brands including: GE, Whirlpool, Sub Zero, Dacor, Bosch, Thermador, LG, and many more. We even work on Sunday! Q: If you think your washer is dead. A: Make sure that all faucets are turned on. And that the washer controls and timer are set properly. Q: If Maytag washer is leaking. A: Check water hoses to make sure there are no cracks. A damaged rubber hose may be causing this problem, we can replace your hose. Q: My clothes are not drying. A: Make sure nothing is blocking the airflow in the rear of the dryer. Make sure dryer is far from wall. Unhook vent and run a normal load, if it drys better that means there is a problem with the vent. Q: My Sub Zero Fridge is not running/ not cold enough. Q: The refrigerator door isn’t shutting properly. Q: My dishes aren’t getting clean. A: Make sure water temperature is hot enough (at least 140 degrees). Make sure spray air is turning properly and that nothing is blocking it. Or try cleaning dishwashers filter, it may be dirty. Q: My LG dishwasher is leaking. A: Try running cycle empty. If it doesn’t leak the problem may be from the load you fill in the dishwasher. Q: My Bosch Oven doesn’t bake or broil. A: If the range burners are still working, check your clock it may be set for self-cleaning or timed. The promblem may also be coming from the thermostat, if thats the promblem you should call a technician it is not advised to fix on your own. Q: There is a gas smell. A: Turn off gas to appliance immediately! 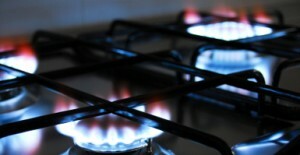 If it still smells like gas call technician immediately you may be in danger. Q: My Dacor Stove burners are not heating. A: Make sure the are properly positioned. Make sure unit is getting power, if not check for a circuit breaker or blown fuse. Got my oven fixed in no time. I simply called in talked to the customer service representative and he scheduled me with a same day appointment. 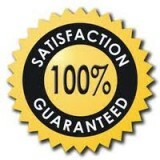 Technician came on time and fixed my Hotpoint Oven. When it comes to proper appliance care and repair, you guys cover it. I am satisfied with my Sub Zero refrigerator. It has not been leaking since you guys fixed it!